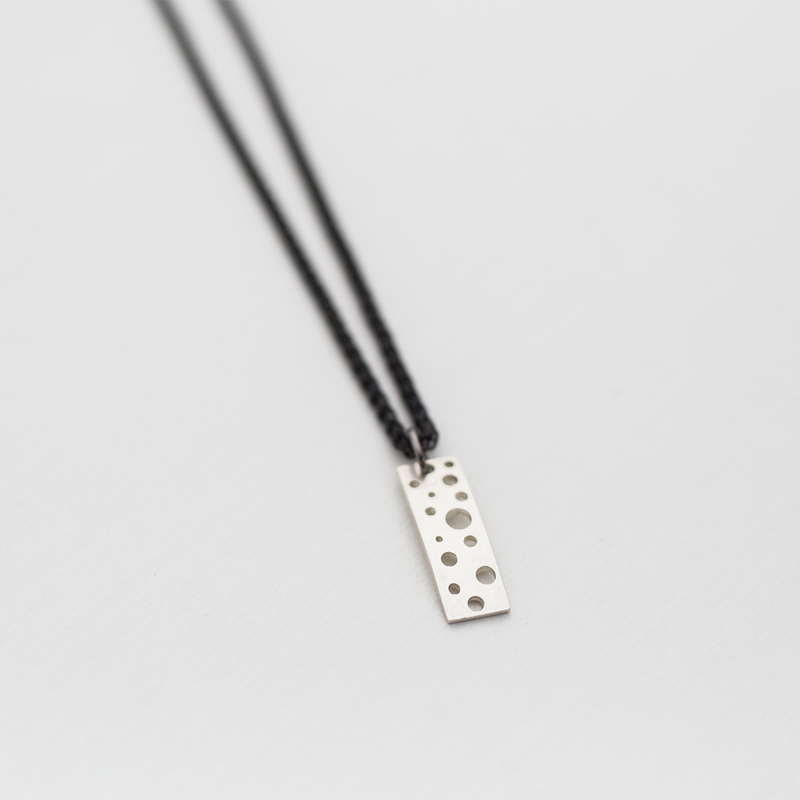 30mm x 10mm Sterling silver pendant on a 24 inch gunmetal plated stainless steel chain. Lobster clasp closure. Stainless steel chain.